Leonardo da Vinci’s paintings are the most liked paintings in the worldwide. ‘Monalisa’ painting is one of the most famous paintings in the world but it is not world’s expensive painting. Recently Leonardo da Vinci’s ‘Salvator Mundi become the world’s most expensive painting sold for a record-breaking $45.3 (Rs 2,900 crore)! million at an auction. A painting of Jesus Christ by the iconic Italian master was sold at four times its estimate in New York. ‘Salvator Mundi’ is over 500 years old and interesting news is; it is not the first time this painting sold at this much high price. Picasso’s ‘Women of Algiers (Version O)’ previously held the record for the most expensive painting sold at an auction that was sold for $179.4 million in May 2015. 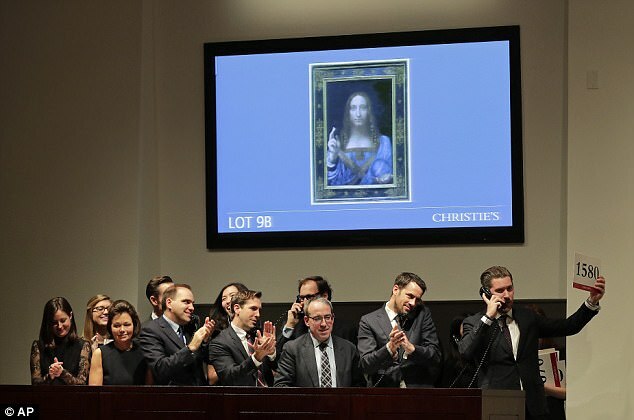 The New York-based auction agency, the Christie’s called the artwork “the Last da Vinci,” the only known painting by the Renaissance master still in a private collection as some 15 others are in museums. 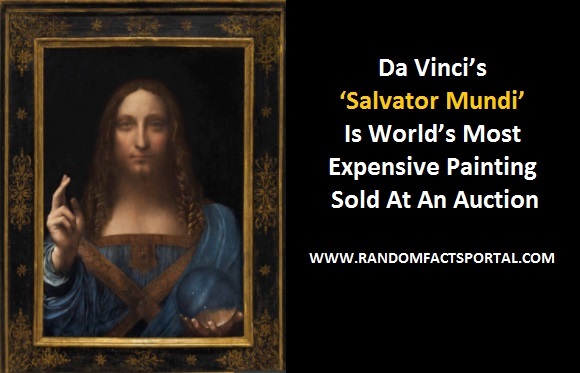 Watch the moment when ‘Salvator Mundi’ became the world’s most expensive painting. After 20 minutes of the meticulous fight, with four bidders on the telephone and one in the room, the painting was sold to a bidder whose identity has not been disclosed yet. The painting was sold by Dmitry Rybolovlev who is a Russian billionaire. He bought the painting in 2013 for great $127.5 million in a private sale.